divide us, tea baggers, and right-wing hate groups. Hitler, of the guillotine—and the tradition of the American Left. violence—mob violence—is always a Democratic affair. Americans have lost their natural, inherited aversion to mobs. and degeneracy that inevitably follow. upon the twisted legacy of 1789.
certainly comes to mind here. (1909-1999), the longtime National Review columnist. no less than three times. entire religious or social groups as "enemies of the people." 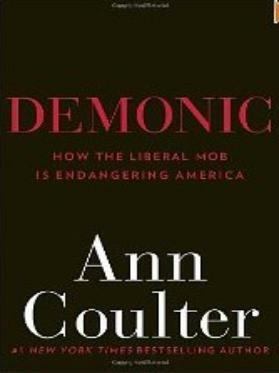 column can be read at anncoulter.com.